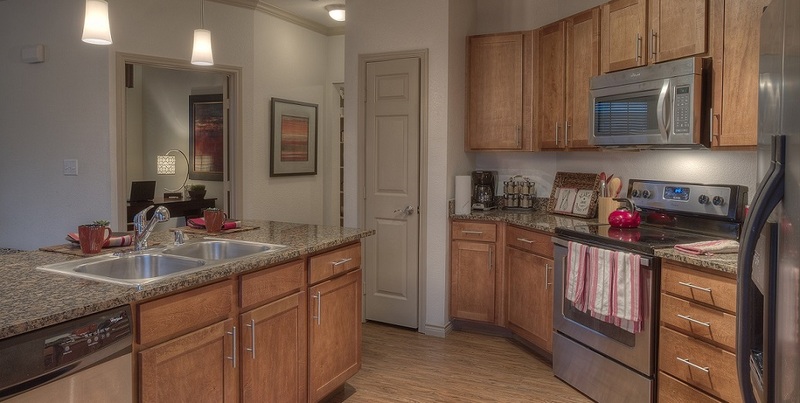 The spacious interiors of our one, two, and three bedroom floor plans will amaze! Trinity Bell Gardens was designed with our residents in mind from gracious interior features to resort-style amenities. Apartment homes feature stainless steel appliances, spacious walk-in closets, granite countertops, a full-size washer/dryer, and so much more! Come take advantage of One Month Free* on select units!